North Mymms Parish Council has agreed to a treatment plan for dealing with Japanese knotweed in Gobions Open Space. Work will begin in the summer. A second thicket of the invasive shrub at the North Mymms war memorial has been reported to Hertfordshire Highways. Japanese knotweed is a non-native perennial, which, if untreated, grows stronger year-by-year. It's fast-growing and has underground stems called rhizomes which spread through the soil producing strong clumps or thickets. The stems are tall and grow in dense patches. If it isn't dealt with it's capable of rapid growth. It dies back in the winter, but fresh growth appears in the spring and summer resulting in the weed spreading. A suspected sighting of the plant at the rear of the gardens on the south side of The Grove, Brookmans Park, was raised at various North Mymms Parish Council (NMPC) meetings earlier this year and reported on this site. A proposal/treatment plan for the treatment of knotweed at Gobions Open Space was discussed. It was proposed by Councillor Teresa Travell and seconded by Councillor Stephen Boulton that NMPC accept the 5 year treatment plan payable in instalments over a period of 4 years. 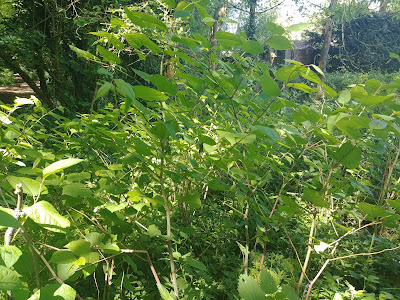 Action : Clerk to contact Japanese Knotweed Company and accept their treatment plan proposal. 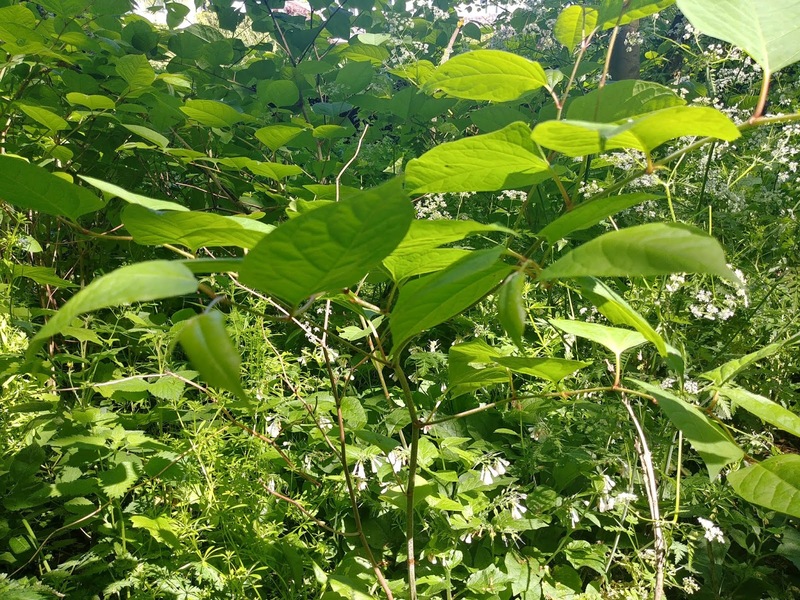 Update: Clerk has contacted Japanese Knotweed Company to accept their treatment plan proposal payable over a period of 4 years which has been processed. Update: Clerk has arranged a free survey at Gobions and it has been confirmed it is Japanese knotweed. A quote from Japanese Knotweed Company has been accepted and the first instalment paid for the treatment plan. Work to commence during summer. Clerk has informed Herts County Council, Highways of possible knotweed presence at the War Memorial. The instance of Japanese knotweed at the North Mymms war memorial off Tollgate Road has been reported to Hertfordshire Highways. 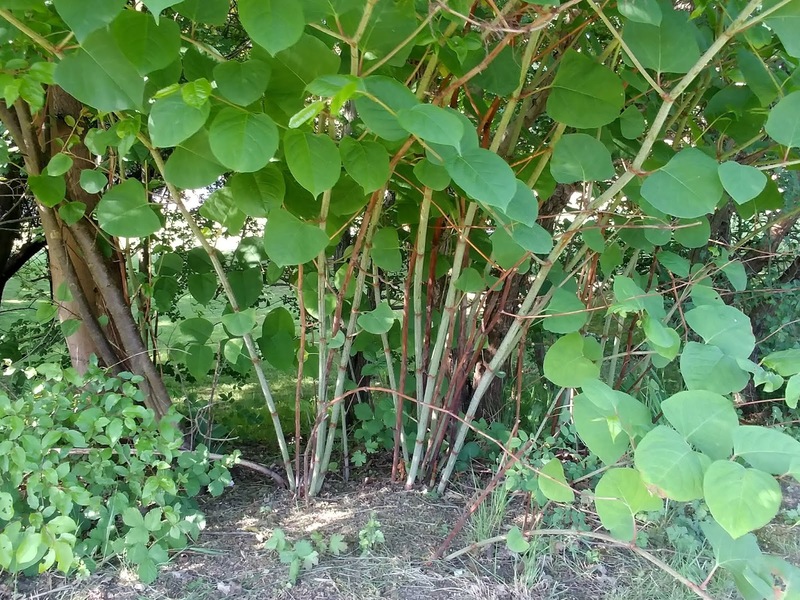 Update Wednesday May 23, 2018: North Mymms Parish Council has confirmed that the possible presence of Japanese knotweed at the North Mymms war memorial on Tollgate Road was reported to Hertfordshire Highways on March 7, 2018, and an acknowledgement received a day later with allocated reference number and prioritisation timescales. 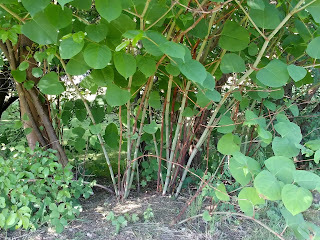 If you know of any cases of Japanese knotweed in North Mymms, please add the information in the comment box below.